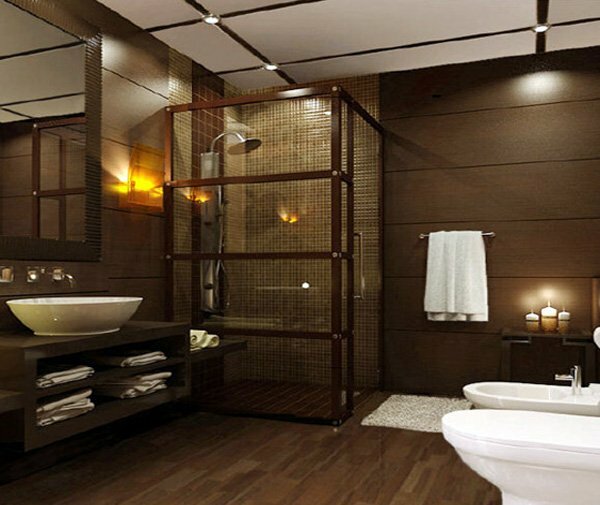 Besides the floors, one of the most important aspects to consider when remodeling or decorating your bathroom is definitely the wall decor. 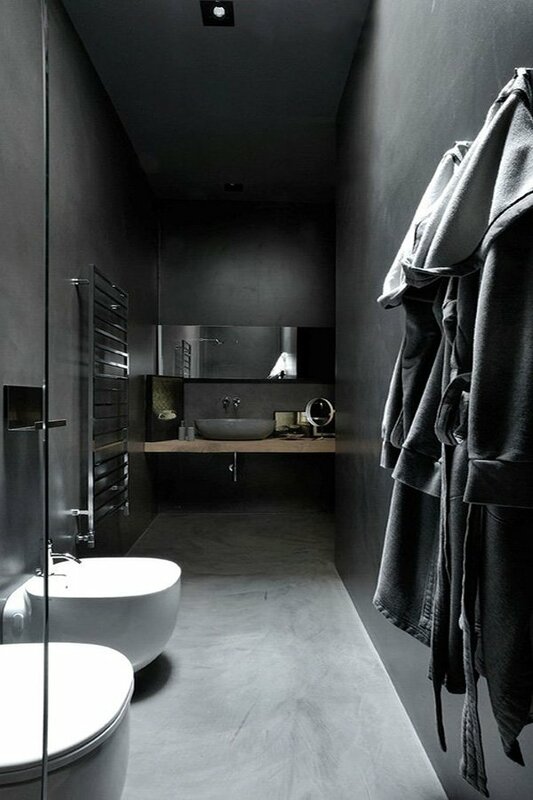 The color of the walls determines the overall atmosphere of the space. 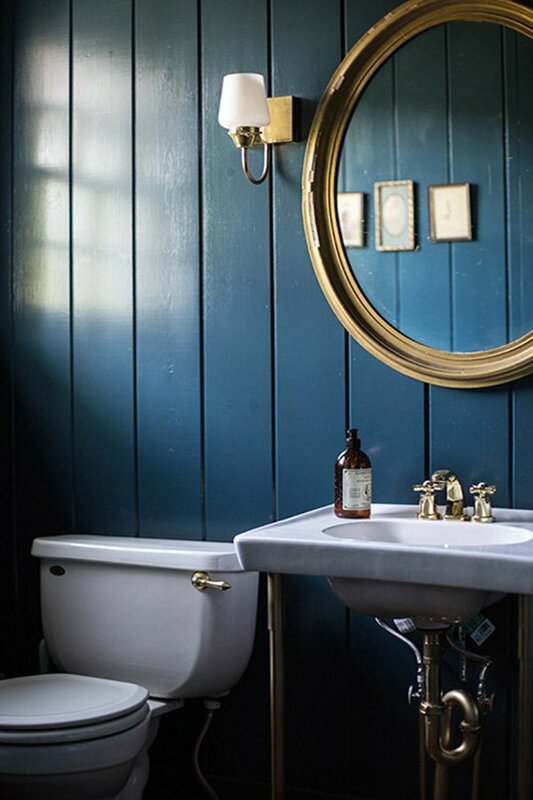 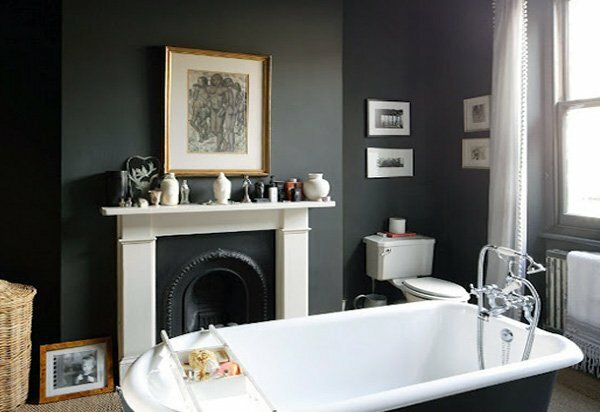 General tendency when painting the bathroom walls is to go with lighter and softer colors, and in this post we dare you to be bold and opt for dark-colored walls in your bathroom decor! 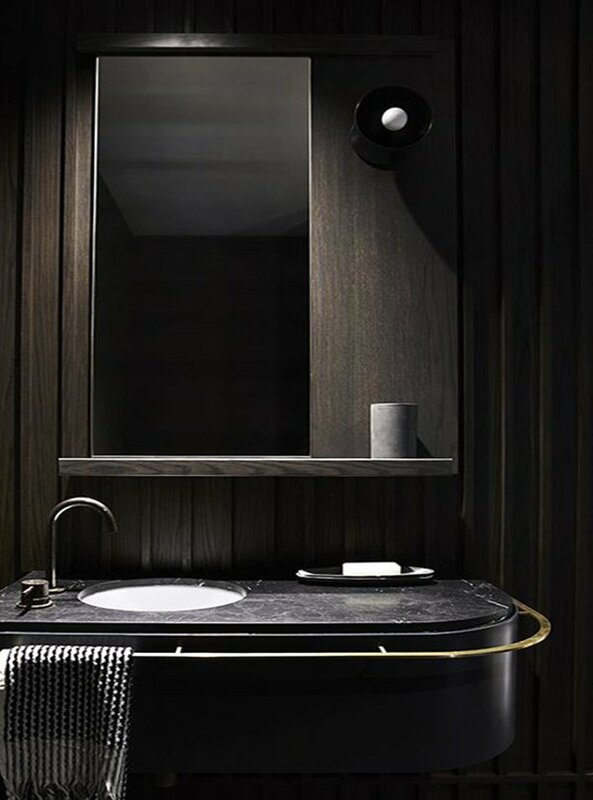 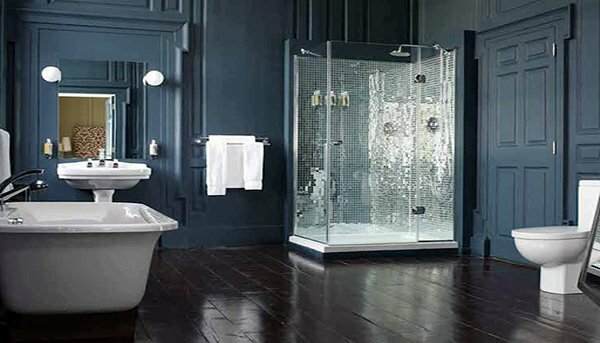 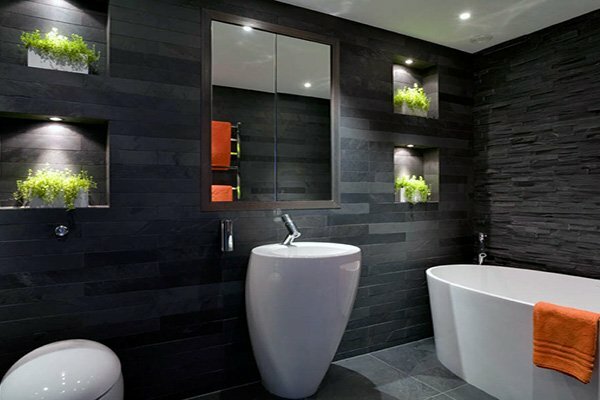 Although dark-colored walls are generally preferred in living rooms or bedrooms, dark bathroom walls have begun to become a thing for many people who want to create an elegant ambiance in their bathrooms. 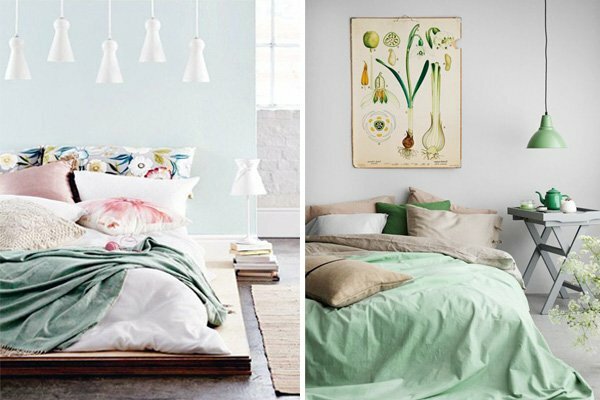 If you are sick of light colors and want to jazz things up a little, you should try this new trend and see the results yourself! 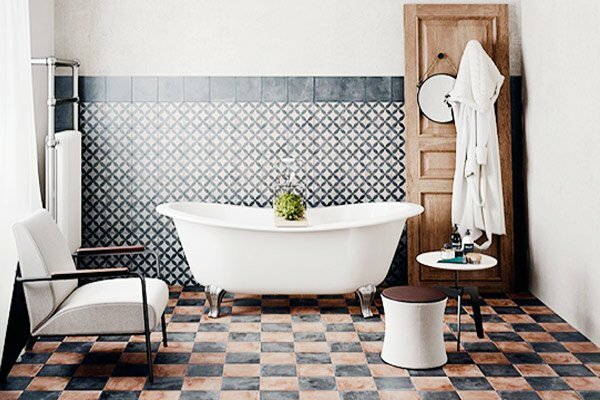 Besides painting your walls with matching or contrasting shades, you can also make use of wall art or wallpapers to capture that powerful style. 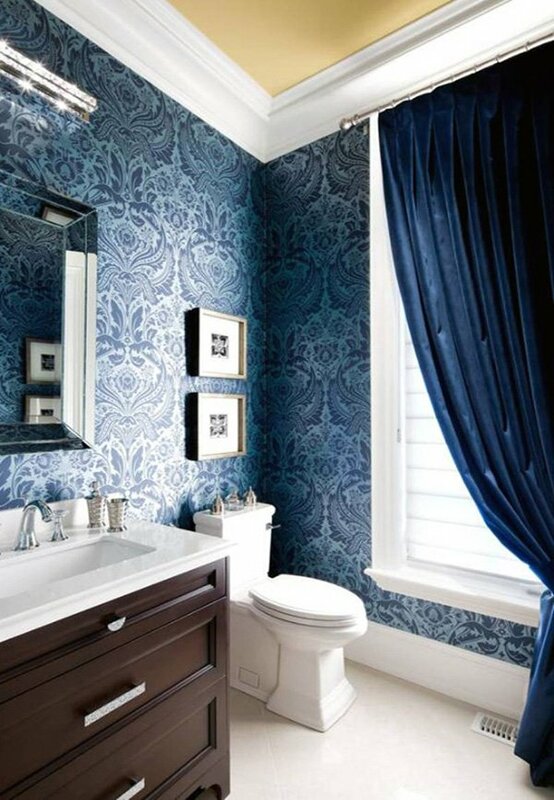 Make sure to create a nice combination with bathroom furniture, sink, shower, and other accessories, and then choose appropriate dark colors or wallpapers for your bathroom walls. 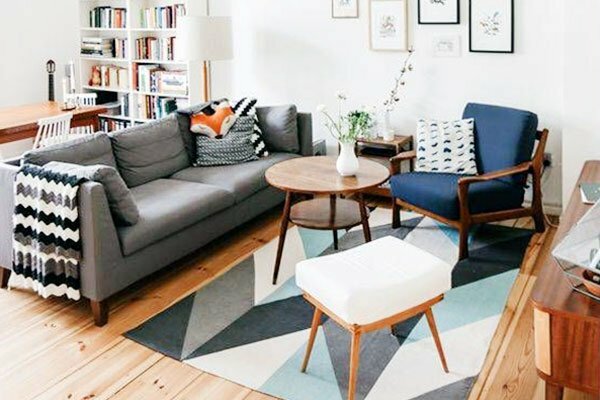 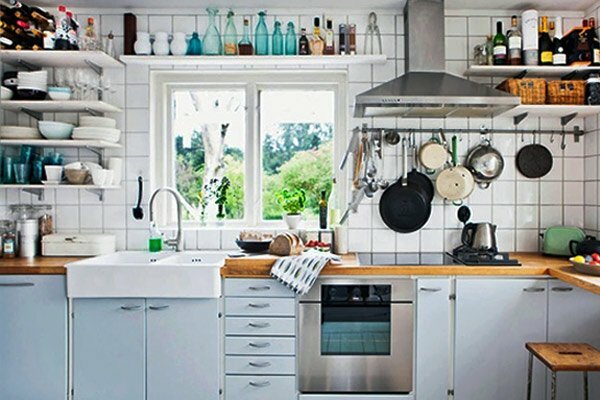 Make sure to warm up the atmosphere with cozy accessories so that you do not end up with a cold, uninviting space. 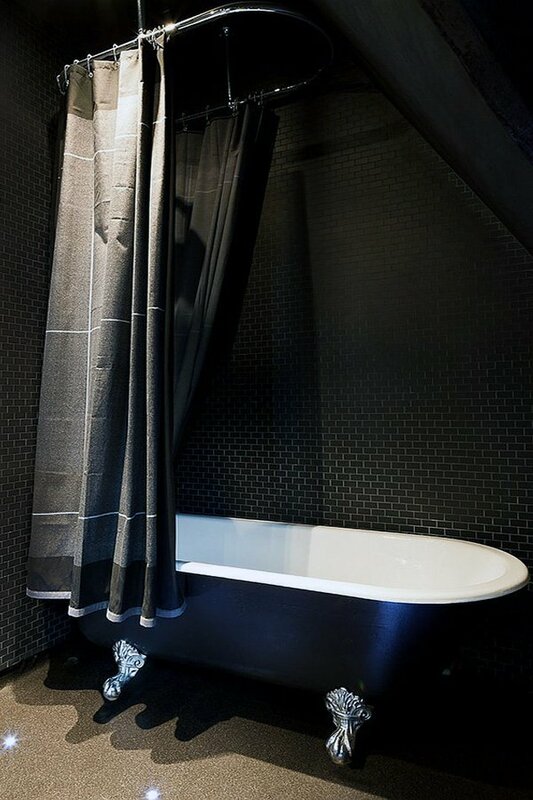 Dark colors offer elegance, relaxation, intimacy, and depth, so do not hesitate and go for it if that is what you’re looking for. 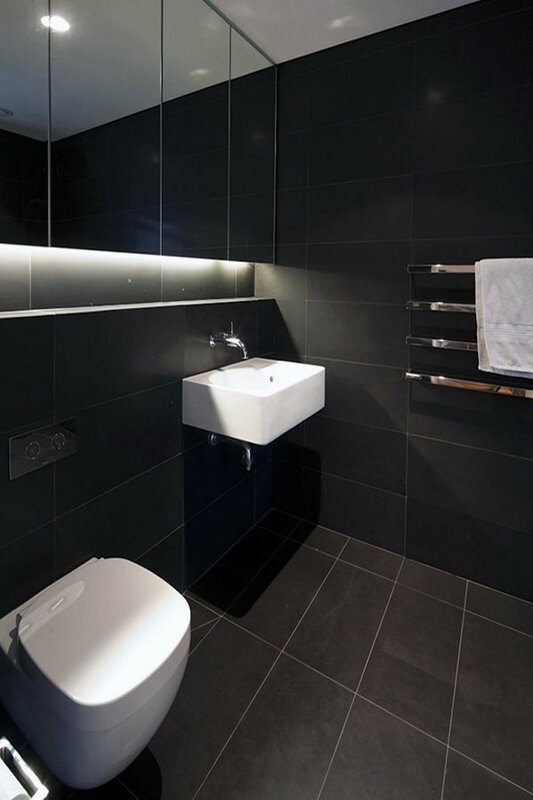 Remember though, if you have a poor lighting in your bathroom, you should think twice as in that case, dark colored walls might be a tad overwhelming. 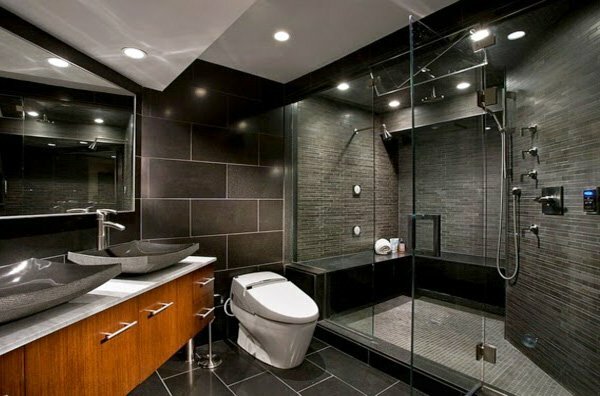 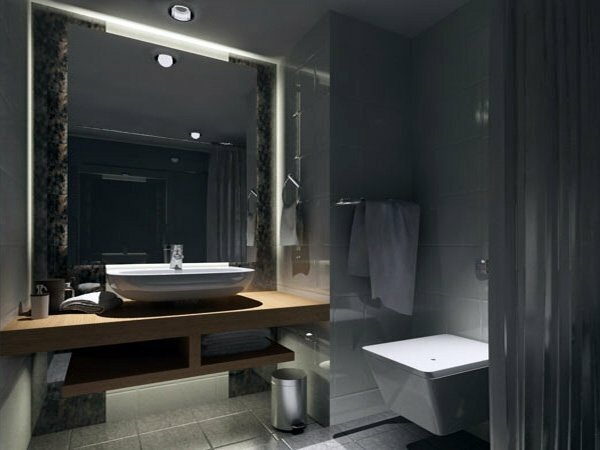 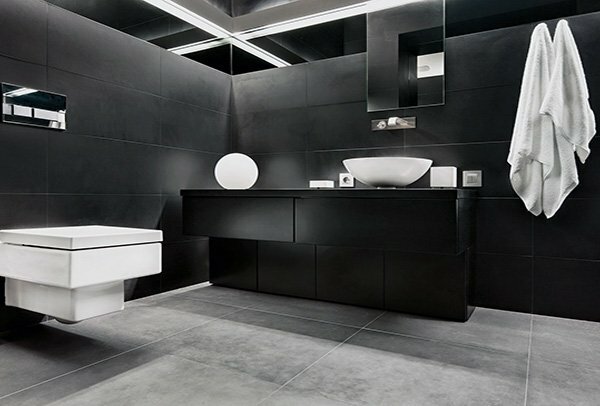 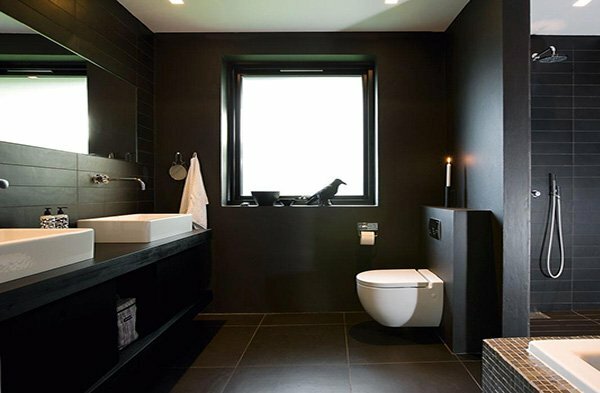 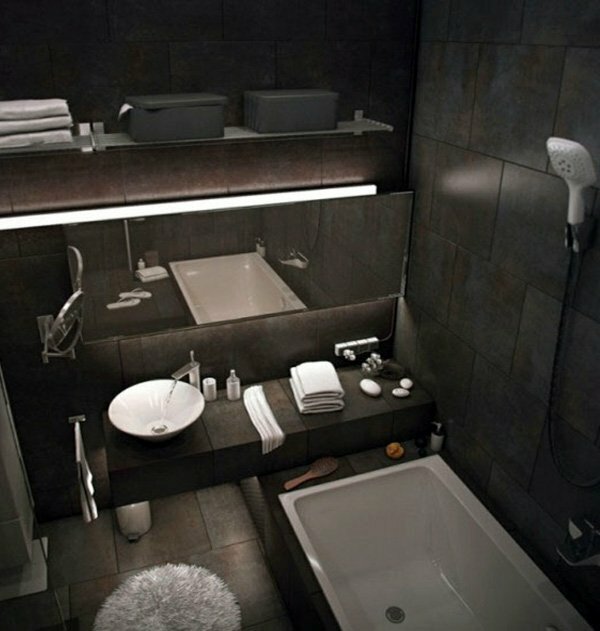 Check out these spectacular dark bathrooms below before you make up your mind!